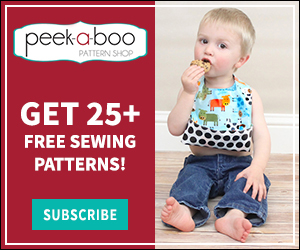 A Simple Trick To Cut Patterned Fabric & Panels Perfectly Straight - Peek-a-Boo Pages - Patterns, Fabric & More! Don’t you love it when you stumble across an amazingly simple solution that makes your sewing life so much easier? One thing I have struggled with when sewing with fabric or panels with a directional pattern is getting it lined up perfectly straight as I cut out my pattern pieces. I found a trick this week that makes it so easy! 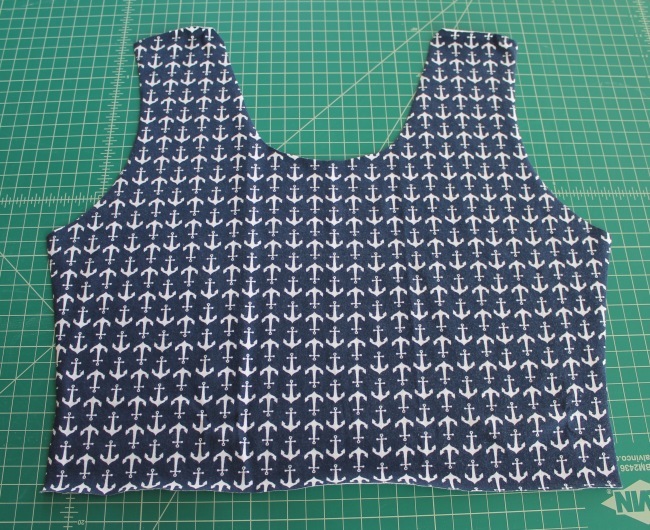 I was getting ready to cut out a Southwest peplum top (pattern here ) from this lovely Riley Blake anchor fabric, and the last thing I wanted was to have crooked lines of anchors on my shirt. The pieces for this top are all cut on the fold, so my goal was to make my fold perfectly straight so that the pattern would be lined up on both sides. I started by opening up the fabric and laying the pattern piece next to the edge so I could see exactly how much fabric I needed to fold over. I chose the line of anchors right next to my pattern piece and lined my 6″x 24″ ruler up with the print. If you don’t have a quilting ruler, another straight edge will work. 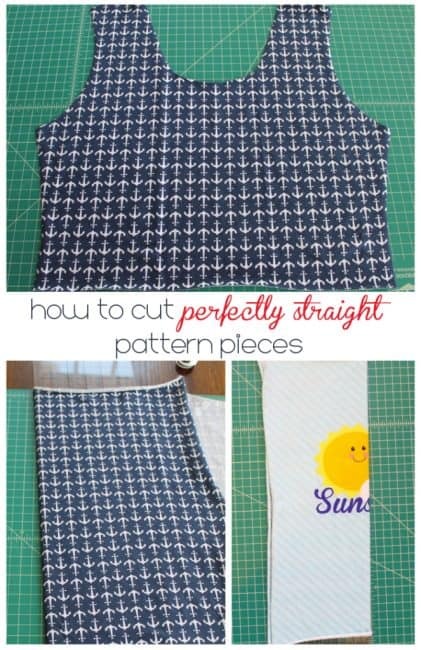 It should be something that is at least as long as your pattern piece and that will slide out of your folded fabric easily. 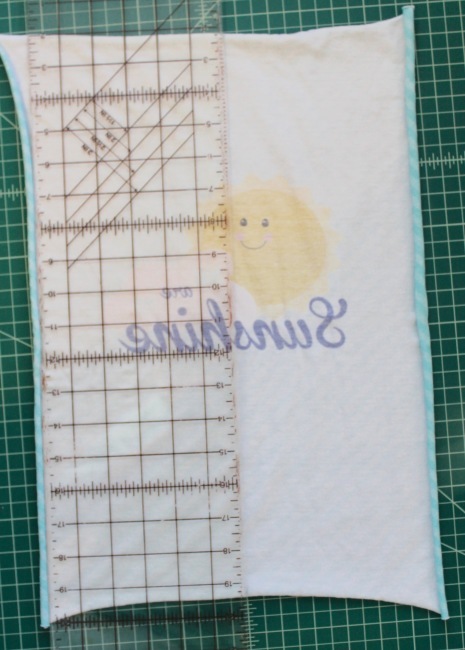 Remove the pattern piece and fold the fabric tightly over the ruler. You should now have a nice, sharp fold that is perfectly even with the fabric print. Carefully slide the ruler out and then place your pattern piece neatly along the folded edge. If you are cutting 2 of a piece (like a right and left) instead of cutting on the fold, place your piece so that the paper edge is lined up with the fold but not right on it. Cut out, and there you have it! A nice, straight pattern! 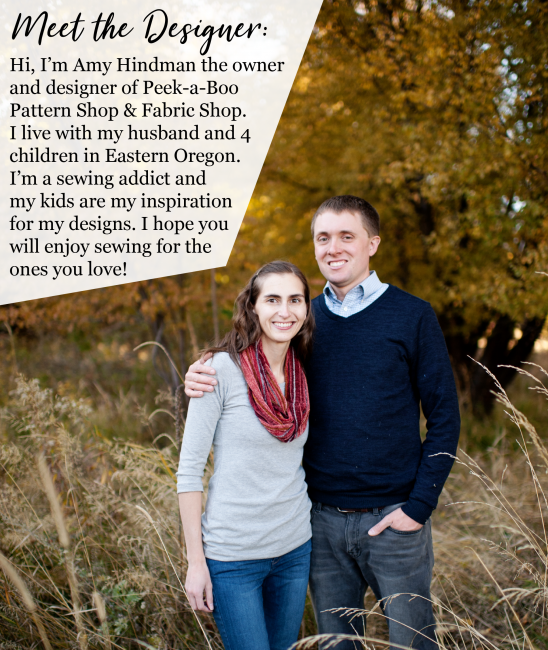 This is also a really easy way to make sure that you have the pattern on a fabric panel centered. Start by laying your panel out and determining the horizontal center of the fabric. This panel is 14″ wide, so I put my ruler at 7″. I aligned one of the horizontal lines on the ruler with the text on the panel. Then fold the fabric tightly across the ruler and proceed the same as above. Previous Post: « Lullaby Line Kimono Kid pattern is here! Great trick, thanks for sharing!